Harry belongs to the house of Gryffindor, therefore, his tie is red with gold stripes. 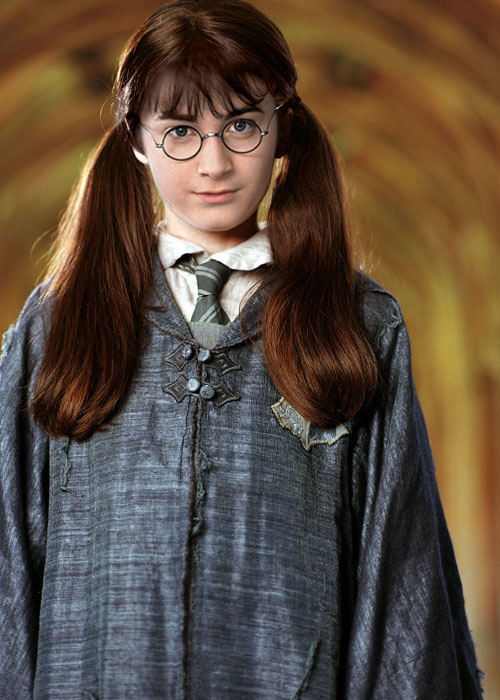 The tie in the picture is blue, indicating a student of the house of Ravenclaw, such as Moaning Myrtle, who wears her hair as shown in the picture. Therefore, I submit to you that a better title is Myrtle with a faceswap.